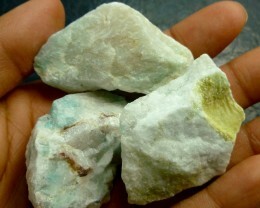 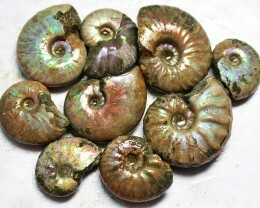 This is a parcel of colourful natural untreated specimens of ammonite from Madgascar - Africa. Ammonites, as they pertain specifically to the order Ammonitida, are an extinct group of marine animals belonging to the cephalopod subclass Ammonoidea. 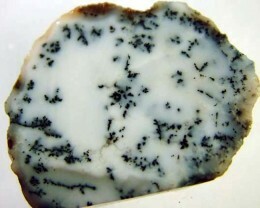 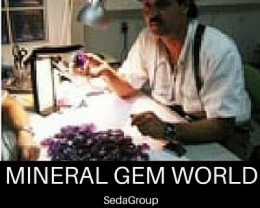 They are excellent index fossils, and it is often possible to link the rock layer in which they are found to specific geological time periods. 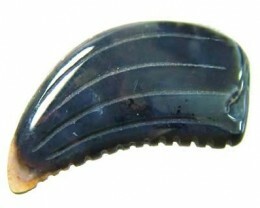 The closest living relative of the Ammonitida, is not the modern Nautilus which they somewhat outwardly resemble, but rather the subclass Coleoidea (octopus, squid, and cuttlefish). Their fossil shells usually take the form of planispirals, although there were some helically-spiraled and non-spiraled forms (known as "heteromorphs"). 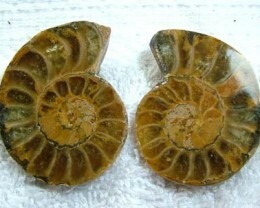 Their name came from their spiral shape as their fossilized shells somewhat resemble tightly-coiled rams' horns. 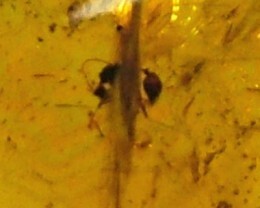 Other fossils, such as many found in Madagascar and Alberta (Canada), display iridescence. These iridescent ammonites are often of gem quality (ammolite) when polished. 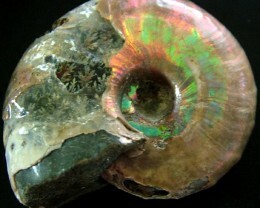 In no case would this iridescence have been visible during the animal's life; additional shell layers covered it. 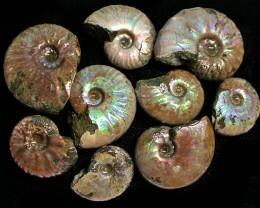 Ammonite fossils became less abundant during the latter part of the Mesozoic, with none surviving into the Cenozoic era. 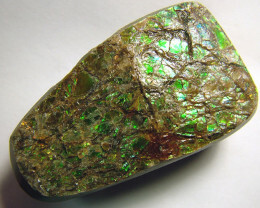 The last surviving lines disappeared along with the dinosaurs 65 million years ago in the Cretaceous-Tertiary extinction event. 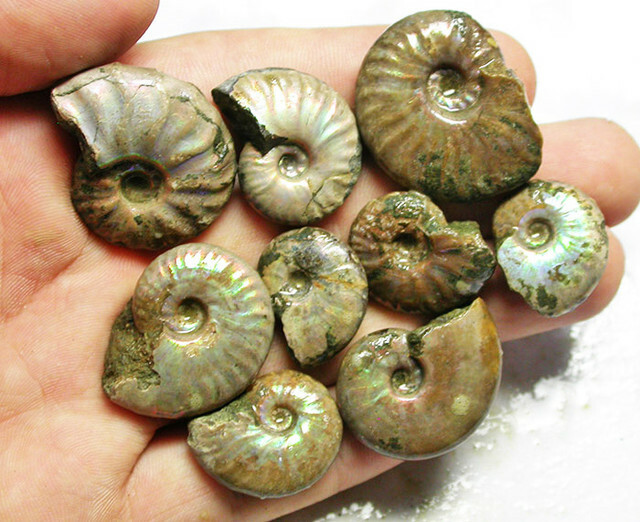 That no ammonites survived the extinction event at the end of the Cretaceous, while some nautiloid cousins survived, might be due to differences in ontogeny. If their extinction was due to a bolide strike, plankton around the globe could have been severely diminished, thereby dooming ammonite reproduction during its planktonic stage.